Dorner’s SmartFlex Wedge Elevators are designed to move products securely between the production floor and other elevations. 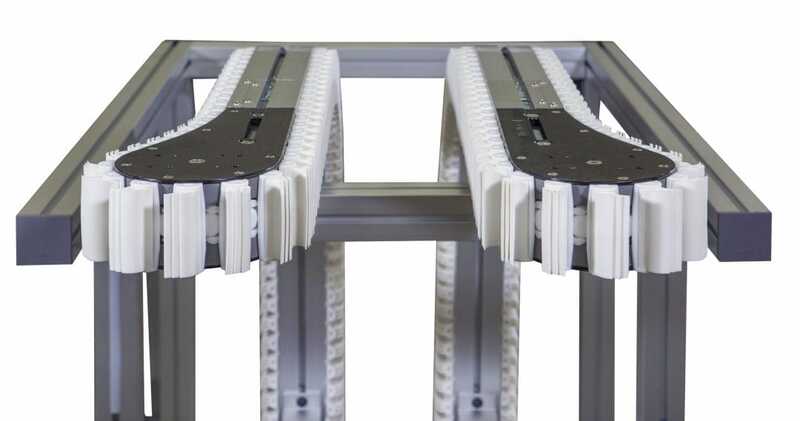 The products are wedged between opposing conveyors lined vertically or horizontally. Wedge elevators are ideal for environments requiring compact footprints, transitions between travel orientations, de-pucking operations and creating passageways on the production floor. The wedge elevators rapid transfer rate make them ideal for continuous high-capacity operations such as packaging lines. See other SmartFlex modules available.